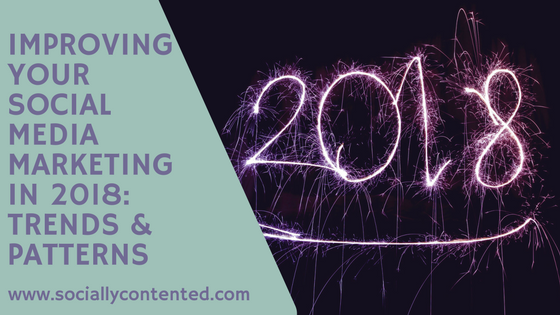 Are you planning your social media marketing for 2018? Would you like to learn from the key social media marketing patterns in 2017 and incorporate the key trends expected in 2018? Here we’ll take a look at what’s predicted for the coming year, and at Buffer’s much-anticipated State of Social Report 2018 which highlights the finding of their survey into how businesses feel about their social media marketing over the past 12 months. So what were the key patterns in social media marketing in 2017, according to Buffer’s State of Social report? Firstly, messaging apps did not take off in marketing the way they were expected to. Messaging platforms have blossomed over the last two years. Buffer says there are now more people using the top four social messaging apps (WhatsApp, Messenger, WeChat, and Viber) than the top four social media apps (Facebook, Instagram, Twitter, and LinkedIn). Despite this, the State of Social 2018 survey found that only 20 percent of businesses have invested in marketing through messenger platforms. Obviously, this does not match the massive user growth for the past few years, so it can only be a short time before the social media platforms begin to find ways to really monetize chat apps. This will in turn provide new advertising opportunities for marketers. As organic reach drops, particularly for businesses on Facebook following Mark Zuckerberg’s announcement in the new year of the algorithm change putting them at the bottom of the newsfeed pile, more marketers will find ways that help them connect better with their audience. Another key finding of the State of Social report was that businesses which utilise paid social media advertising are more than twice as likely to consider their marketing successful. In the survey 45% of all businesses surveyed said their social media marketing was “somewhat effective” and 29% said it was “very effective”. However, when we look at the results according to whether or not the businesses had utilised paid ads, it transpired that businesses which did utilise paid social media ads were more than twice as likely to say social media marketing is “very effective”. Conversely, businesses that did NOT utilise paid social media advertising were twice as likely to say social media marketing is “uncertain” or “very ineffective” for their business. When businesses were asked as part of the State of Social survey how they measured ROI for their paid social media advertising, 42% said it came from engagement. 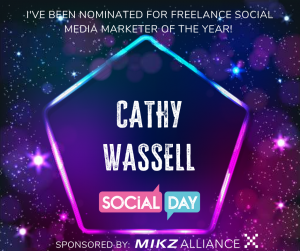 This is an encouraging sign for me, especially since I run the #GoWithThePro campaign to encourage businesses to treat their social media channels seriously and run them professionally. 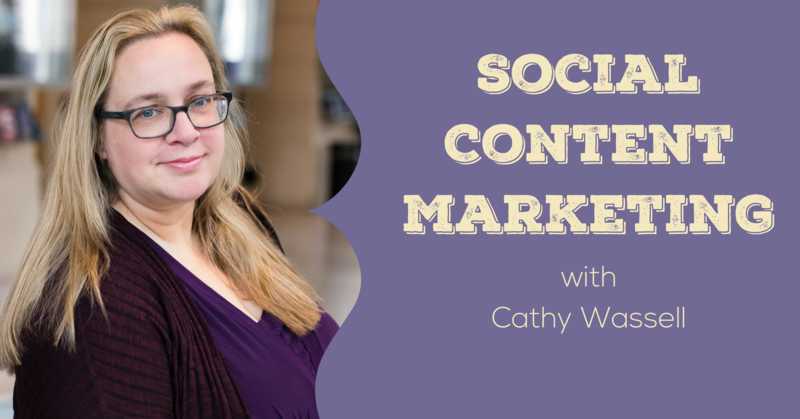 Social media needs to be social after all! Only 15% said they measured ROI by sales, and 17% by leads, reflecting the importance of brand awareness as part of your social media marketing. Facebook is still the king of social media, with an astonishing 96% of businesses saying they use it. Twitter wasn’t far behind though with 89%, and it will be interesting to see if the number one place is still in Facebook’s grasp this time next year. Only 21% of businesses surveyed disagreed that their organic reach had declined over the year. Snapchat’s woes remain, with only 11% of businesses using this channel for their marketing. Video still features heavily, but despite 2017 being hailed as the year of video it still seems to be mainly an aspiration rather than an accomplishment. 85% of businesses want to create more video in 2018, with time and cost being the main barriers to creating it in 2017. Live Video still hadn’t lived up to expectations though, with only 31% of marketers having used it (and increase of just 5% on the previous year). This is despite social media algorithms generally favouring live video and showing it to a wider audience than all other types of posts. Facebook was far and away the most popular platform of those surveyed, with 91% of those who have used live video choosing Facebook Live as their platform. Stories too are seeing an increase in popularity, with 68% of marketers surveyed hoping to use them more in 2018. For a start, I think 2018 is going to be LinkedIn’s year. A change in algorithm & the introduction of native video generated so much new engagement on LinkedIn for the last few months of 2017, and new changes with Groups mean that the newsfeed is changing all over again. Gone are the days when LinkedIn was just a glorified recruitment board. Now it’s full of interesting conversations and has real possibilities for B2B companies as long as you are not relying solely on a business profile. LinkedIn also has plans to roll out video ads in 2018 which could be a game changer. 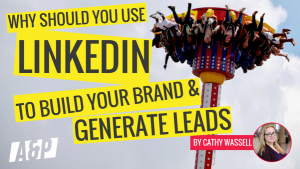 If ROI can increase so that costs can be more in line with Facebook Ads then LinkedIn could become the place to be for B2B. Video still has plenty of room for growth. With the way it’s treated by the platform algorithms we all need to be using more video content, especially live video. 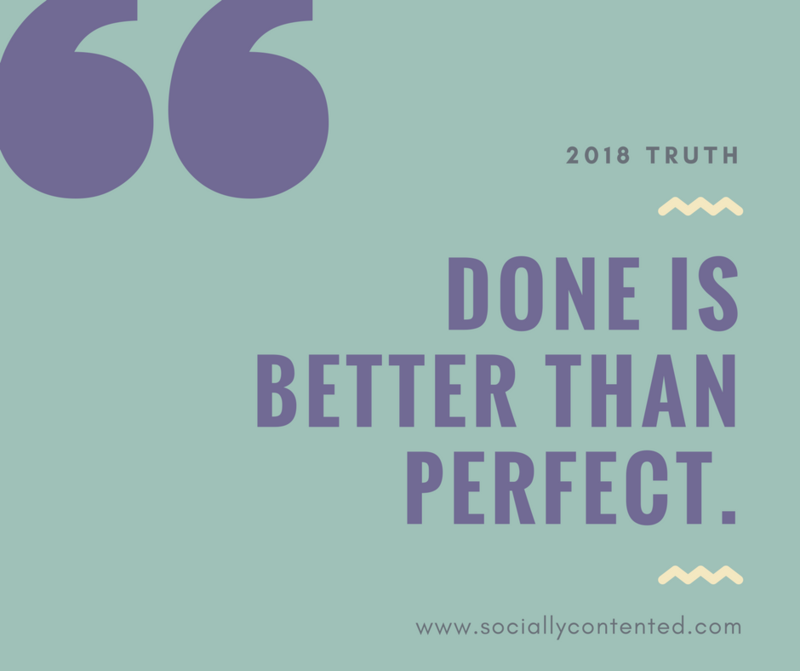 If this is something you’re apprehensive about doing, remember done is better than perfect (unless you’re part of a big brand in which case I’m afraid you need the budget for perfect!). Facebook is becoming ever more a media company, and with the announcement of Facebook Watch last year moved closer to TV content. In 2018 it should be rolled out to everyone, so further big changes are afoot. Advertising on Twitter is viewed as a poor relation to the other social media channels, but with the rising costs on Facebook, and a large readymade audience it’s possible the time is ripe for a Twitter revival. The channel managed to reverse their early trend of stagnant growth last year, and refuses to be written off. We can’t finish without a shoutout for Instagram. They managed to more than double the number of business accounts on Instagram last year, and 80% of Instagram accounts follow at least one business. That’s good news for advertisers, and it is perhaps unsurprising than Instagram are ahead of the projections, with $4 billion in global advertising now expected. These are just a handful of the trends predicted for 2018, but for businesses who just don’t have the budget or time to do or learn everything they are a good core of aspirations for your social media marketing. Concentrate on improving these areas and you will see an improvement in your ROI for social media marketing. To learn more about measuring success by looking at your page analytics, have a look here. Would you like to learn more tips and tricks to improve your social media marketing and get better engagement on your social media channels? Join my free Facebook Group here.